How Can I Edit a Heading/Paragraph/links, etc? 2. Go to the Style Panel and on under Selector SELECT the All Tag. Use same size for your team/post/work Main Images. We recommend to use the same size for all your blog/work main images, preferably in high quality. 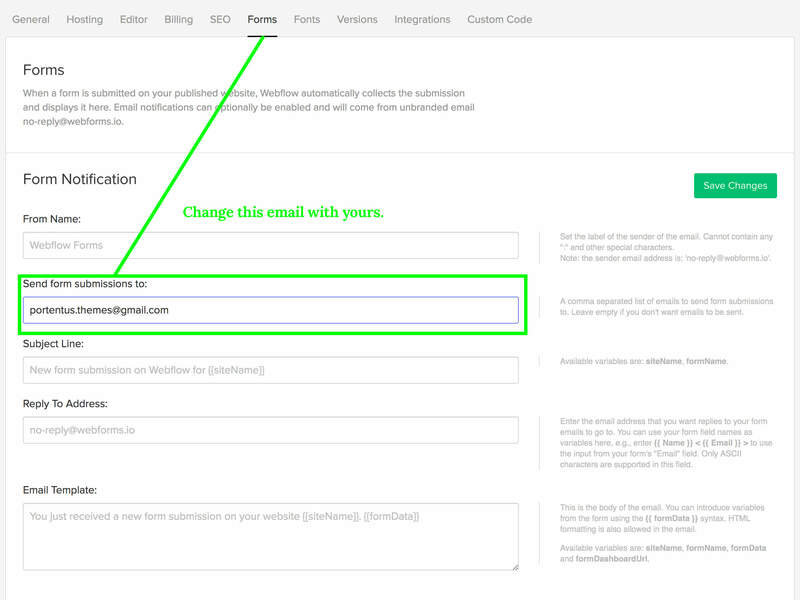 If you want to receive the messages from your contact form you need to update the Notification email address. Please drop us and email and I'll get you back as soon as possible. 1.1 Text on Pricing details was changed from small to mini. Flex Space was changed to Flex Start. Buy Template | Version 1.0 | Image Licensing | Made By Pablo Ramos | Powered by Webflow | Go Up!